So I always have on my bookshelf a number of books that I am reading, halfway read, or want to read. Unfortuantely life and making bread for my family gets in the way of my reading and so my bookshelf of unreads and half-reads continues to grow. But lately there are a few books that I have not gotten that have tickled my curiosity. This has led me to several late night purusals of amazon.com hoping beyond hope that there may be some crazy good deals out there. Again, I have not read any of these books, but I will share why they stir me. 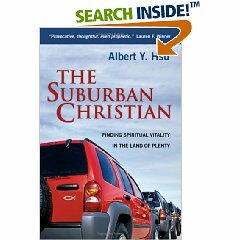 With more and more Christians flooding into the suburbans I am really intrigued at the culture of the suburbs. We often think of ‘downtown culture’ and ‘farm way of life’ but I think it is entirely honest to think that there is a suburban culture. One that keeps us seperate, individualistic and apart. Well this one is obvious. With the partisan political climate that we are in today and with the avalanche of ugliness that is about to descend on the current Obama and McCain campaigns. (no matter if both have promised to play nice. Playing nice and politics is like asking a Nascar driver to race without a steering wheel.) 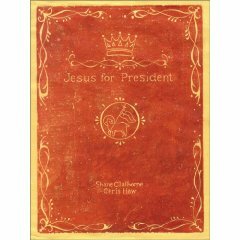 But what if Jesus were President. What would that look like? What would be important to Him? This is one of the books that I am afraid to read. This title titliates me. Rather than be conformed by the culture around me, I am called to actually make a culture. Now I once was an avid fan of Age of Empires in which you would make an entire civilazation around a culture. You would actually make your own culture. Great for the imagination and computer, but not a real reality for life. 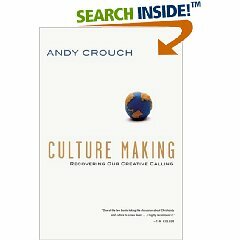 Unless… maybe we are called to make culture instead of conform to the culture around us. 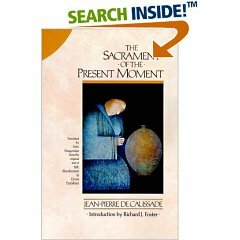 My wife has read this book and she found it utterly life transforming. So that is enough impetus for me to get this one. She really has been formed by this book. Especially having gone throught the cancer scare recently with her thyroid. A good book is like a good seed. Once planted it brings forth much fruit. I look forward to reading these. Any other good book recommendations out there? Any must reads?